Automatic section control (ASC) technology for planters has gained interest among growers because of its potential savings and other benefits. Automatic section control is also referred to as auto-swath or row clutches when talking about planters. As the name suggests, this technology improves planting efficiency by automatically turning OFF planter sections or individual rows in areas that have been previously planted (e.g., headlands or point rows) or areas designated as no-plant zones (e.g., grassed waterways, terraces, outside a field boundary). ASC can also automatically turn sections or rows back ON when the planter moves into an area to be planted. Figure 1 illustrates a manually controlled planter by the tractor operator versus an ASC-equipped planter with individual row control and section control. Without ASC, the operator would typically need to decide when to stop planting and would plant into the previously planted area to ensure 100 percent coverage. Figure 1(a) also shows that the decision time to stop planting can also play a role in the total double-planted area. With ASC, the decision making is handled within the technology either in sections or individual rows as illustrated in figure 1(b). Figure 2 shows the results of reducing double-planted areas using ASC and, thereby, providing direct-seed savings. Figure 1. A comparison between using a traditional planter setup where the operator must decide to stop planting (a) versus one equipped with automatic section control (ASC) technology on a per row and section basis (b) reducing overlap and skipped areas. The doubled planted Area + Operator error (a) illustration indicates that the decision time (light blue area) to stop planting can increase the double planted area. Figure 2. Results of using automatic section control (ASC) on point rows. Currently, equipment manufacturers are offering ASC technology as an option on new planters. Third-party companies also provide add-on options. The technology can be installed on some older planters. Consult an equipment manufacturer or third-party vendor to determine compatibility of the ASC technology for the specific planter model. Several benefits beyond seed savings exist for ASC, but it is important to understand the components and their functionality in order to maximize benefits at the farm level. This publication discusses the various aspects of ASC on planters. The primary tangible benefit of using ASC on planters is the seed savings through reduction of double- and triple-planted areas of the field. 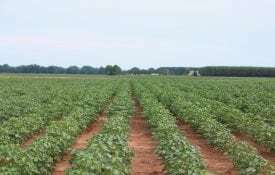 A two-year study conducted in 2010 and 2011 using the Alabama Agricultural Experiment Station at Auburn University reported input savings ranging between 1 percent and 12 percent per field with an average savings of 4.3 percent on seed cost for a farm when using ASC. This study only considered the benefit of ASC on seed savings and not the advantages of savings gained using guidance technology. Using guidance technology with ASC could increase overall seed savings to between 3 percent and 35 percent on a per field basis. These savings depend on field size and shape with higher benefits occurring in large, irregular-shaped fields or fields containing conservation management structures, such as grass waterways and terraces. at Auburn University, with results reported in this publication, indicated that ASC on planters can increase both cotton and corn yield while also reducing harvest loss compared to double-planted areas. This study investigated double-planted areas at different angles (30 degrees, 60 degrees, and 90 degrees) versus single-pass areas. Population and yield data were collected for both crops with only harvest loss measured in corn when using a combine. Yield results indicated a significant difference (p<0.001) between single-pass and double-pass areas for both cotton and corn. The average yield loss across all double-planted treatments was 21 percent in cotton and 17 percent in corn. In terms of harvest loss, there was an average 8.7× loss factor in double-planted areas for corn so a 1 bu/ac nominal combine loss would be 8.7 bu/ac (8.7 × 1 bu/ac). The 60-degree angle had the highest loss factor of 10.6×. A couple of observations were made over this two-year study in corn. Smaller ears were found in double-planted areas (figure 3), while the corn header tended to push corn stalks down in these areas generating the higher harvest losses. Additionally in 2011, higher in aflatoxin levels were observed in double-pass areas. Reduced operator fatigue by not having to manually turn the planter ON or OFF over a full day. Figure 3. Sampled corn ears between single-pass and double-planted areas. Two online tools can be used to help evaluate the potential value of ASC and help with purchase decisions. The first is the PrecisionAg Institute’s Profit Calculator available at www.precisionag.com/ profit-calculator/. This calculator focuses on the value of guidance and ASC taking into account attributes such as field shape and size along with financial costs. 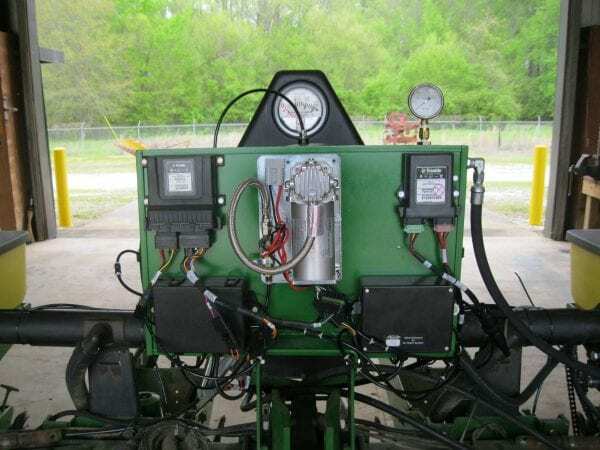 Instructions, both written and video, are provided to help step through the setup for various field equipment (e.g., sprayer, planter, and fertilizer). Outputs include return on investment (ROI) for both guidance and ASC, providing expected payback time period. for planters. 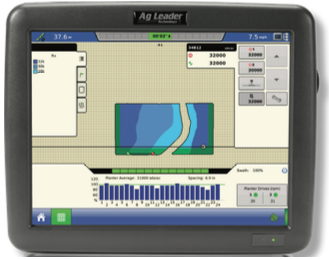 This interactive computerized decision aid is called the Automatic Section Control for Planters Cost Calculator (ASCCC). A downloaded Excel file allows you to customize the setup for your particular farm, including specifying input costs, crop prices, and yield. You can download and review information at http://economics.ag.utk.edu/asccc.html. Outputs from this tool include seed savings, yield benefit, and payback time in years. ASC can be implemented using one of two different approaches: map-based or driving the field boundary. The map-based approach includes using a predefined field boundary map that is preloaded into the display to perform ASC. The map defines the planting area for the field. Based on the field boundary, ASC will automatically turn ON sections/rows in the planting areas and OFF in the no-planting area or previously planted areas. The benefit of this approach is that the boundary defines the area to plant and is shown visually on the display, requiring no guesswork by the tractor operator. The downside is that a spatially accurate boundary file compatible with the ASC technology is needed before planting. The second approach requires the tractor operator to plant the field border and around any no-plant areas (e.g., grassed waterways, obstacles, etc.) to set up the field extents. This step usually takes place when opening the field. This option has two main benefits. First, a previously created field boundary is not required allowing the tractor operator to establish what the crop-able area will be for the field. Second, issues between the boundary file format and possibly spatial information (e.g., datum and projection) when loading into the display are not a concern. Displays can require a specific boundary file format for uploading. If differences between the display and file exist, a conversion likely will be required through a farm management information system or specialized geographic information system (GIS) software. Most ASC technology provides this simple approach as the main option. Figure 4. Example of a row clutch mounted between the main hex drive shaft and chain drive for an individual meter unit (a). A hydraulic main drive can also be used to implement ASC (b) for the sections of the planter it drives during operation. Individual row drives are available that can also provide ASC capabilities (c). The turning ON and OFF of row units can be accomplished with either a clutch or drive motor. Clutches can be either used on individual row units that are mounted between the main drive shaft and row-unit drive (figure 4a and figure 5) or a clutch that engages and disengages the main hex planter drive shaft. Drive motors can also be used to turn row units ON and OFF (figure 4b). This approach can be accomplished through either motors driving individual row units or a hydraulic/electric drive controlling the hex planter shaft (figure 4b). The most popular approach is using row clutches, but the availability of individual meter motors is increasing and provides both rate control and ON/OFF capabilities. Figure 4c shows an example of Raven’s OmniRow, a hydraulic drive solution with capability of driving an individual meter independently of others on the planter. 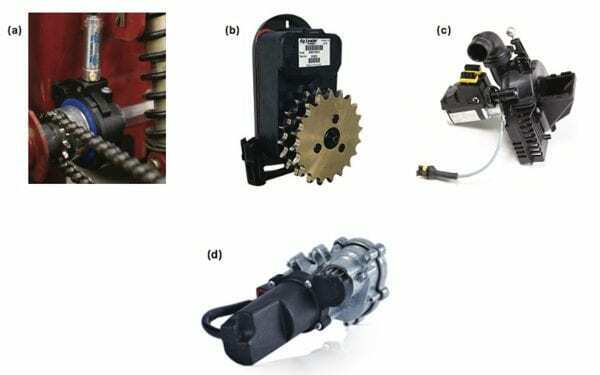 Figure 5 illustrates additional close-up examples of different clutches and direct meter drive technology currently available. Table 1 provides a partial list of companies and their ASC offerings. Beyond drives or clutches, additional components include the proper display with appropriate software capable of automatic section control (figure 6). The correct wiring harness, electronic control unit (ECU), and connections are required as well. For pneumatic actuated clutches, an air compressor and control unit with air valves will be required (figure 7). If retrofitting a planter with ASC, consult your dealer on the needed components for your specific planter model. An important sensor required is the GPS/ GNSS receiver. The Alabama Precision Ag team recommends sub-decimeter level accuracy correction services such as Real-Time Kinematic (RTK), Trimble’s new RTX technology (+/- 1.5 inch), John Deere’s SF2, or OmniStar’s HP for individual row or control or grouping rows into sections. For best results, especially for individual row setups, RTK is highly recommended to ensure consistent performance from your ASC technology. left and right are air valve modules used to directly disengage clutches when pressure is applied to the connecting lines. Each air valve module controls up to 4 sections or individual rows. The final component is the ECU on the upper left of the panel. This communicates information between the air valve modules and in-cab display. The cost of installing ASC on a planter depends on the type of planter, existing precision ag technology already on the farm, and the ASC technology to be installed. The cheapest option is having ASC preinstalled as an option on new planters. In general, field-installed ASC will cost 40 to 50 percent more compared to preinstalled mainly because of the labor and installation time required through a dealer. Another consideration is the current precision ag technology already adopted because it is usually cheaper to add to existing technology than to start completely over with a new brand of technology. Table 2 outlines nominal costs for ASC under different scenarios. These costs are presented on a per-row basis using 2013 pricing for a 12-row planter from various equipment and technology dealers. The range of pricing for each scenario is due to differences between companies and dealer installation charges. Economic analyses were conducted using data from this Auburn study combined with the 2010 “Economic analysis of auto-swath control for Alabama crop production” in proceedings of the 10th International Conference on Precision Agriculture in Denver, Colorado, and 2014 Alabama enterprise budgets. Using the 2014 enterprise budgets as the basis for comparison, the seed savings, yield loss, and harvest loss factors will be iteratively evaluated. Analysis assumes equipment is operated over the same area including double and triple areas regardless of whether ACS is present; therefore, there is no change in cost or benefit with respect to acreage covered by tractors, planters, harvesters, or other field equipment. Analysis assumes that seed treatment and seed technology fees remain constant in each scenario, with only the amount of seed varying. 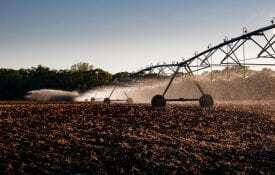 To evaluate the economics of machinery, a depreciation schedule was calculated to put a per acre cost on the equipment. It was assumed that electronic equipment such as ASC has a three-year useful life with no salvage value. Assuming an $1,800 per row cost (the average of the range from table 2) for a 12-row planter, the initial investment was $21,600. Dividing the initial outlay by three years and adding a 5 percent interest charge gives an $8,280 per year cost. Given that a fully utilized 12-row planter has a 16-acre per hour working rate and is operated at 150 hours per year, the equipment should cover 2,400 acres per year, making the per acre cost of ASC $3.45. The first iteration of analyses evaluates the whole farm value of seed savings while keeping yield loss and harvest losses fixed at 0 (table 3 and table 4). Even at the modest 1 percent savings on seed, nearly $1 per acre is saved from ASC for both corn (table 3) and cotton (table 4); however, the cost of ASC is not offset by the meager improvement. 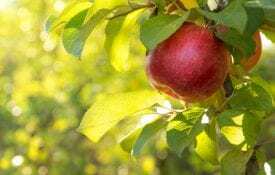 In the more extreme cases of 12 percent seed savings, seed savings exceed $10 per acre, which clearly covers any ASC annualized per acre costs for both crops. In fact, a 3.6 percent and a 3.8 percent seed savings for cotton and corn, respectively, are sufficient to cover break-even costs of adding ASC. When evaluating ASC with respect to yield loss and harvest loss factors, the economics are more straightforward and less interesting, because the annualized ASC investment is paid for at any measurable level of yield loss prevention. 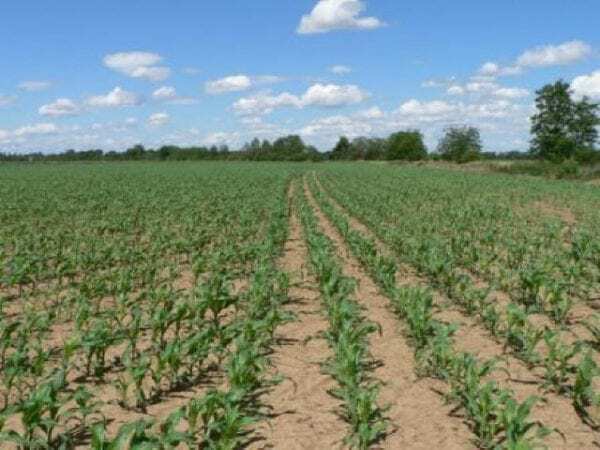 Tables 4 and 5 present the potential yield and potential revenue loss from combination of only the yield loss and harvest loss factors for corn. Using table 4, if the user estimates a 10 percent yield loss but no harvest loss, then they would expect 108 bu/ac corn yield. If the same user estimates a harvest loss factor of 6 and a 10 percent yield loss, then they would expect a 102 bu corn yield. Using table 5, the user would expect a revenue loss of $60 and $90 for the same two scenarios. Considering the average yield loss of 17 percent for corn and 8.7 harvest loss factor, combined yield loss is nearly 28 bu/acre or about $138. Similar to corn, benefits to cotton production outweigh the investment cost of ASC at any observed yield loss. Table 6 presents the revenue loss for cotton at a range of lint prices. If the user were to expect a 20 percent yield reduction from overlap, similar to the observed 21 percent, then a $75 per acre revenue loss would be calculated for a $0.50 per acre lint price. Even at a 5 percent yield loss, the revenue loss would offset the cost of ASC investment. When considered together, seed savings and yield penalty reduction increase the payback to the farmer. Even under modest seed savings and/or yield improvements, ASC investments are quickly recovered even when assuming a 3-year depreciation. The simplest way to implement ASC is to order it as an option when purchasing a new planter. This option is the lowest cost of adopting ASC and it reduces the time to install additional after-market options. The following suggestions are useful when considering ASC. First, consult the planter manufacturer or dealer to determine if any planter modifications will be required before installing row clutches or drives. This information is very important for older model planters with one or two springs providing the necessary down force for a row-unit that may need to be removed for some clutches. In no-till or similar operating conditions, reducing the available row-unit down force may cause issues. Second, make sure your tractor can handle the additional hydraulic or electrical load for those ASC options requiring this type of power. Also, consider if you want to set up your ASC technology for (1) individual row control or (2) section control (grouping rows together). The number of channels available (e.g., 8, 10, 24, etc.) indicates how many sections or individual rows can be controlled. Therefore, a controller with 8 channels cannot perform individual row control on a 12-row planter; some rows would have to be grouped together to form a section from a control perspective. 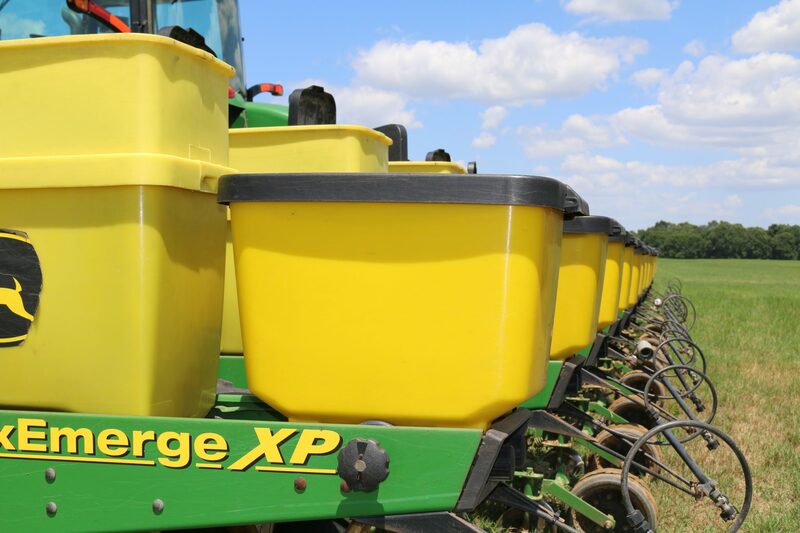 The following provides a list of preplant and in-season checks for ASC on planters. As an adopter of ASC, it is good to review and perform these checks annually. Firmware Updates. The controller and GPS/GNSS receiver must be updated to the latest firmware/ software version to reduce potential problems during planting and to ensure greater benefit from the investment. Firmware updates are usually provided by manufacturers during the winter months through their websites. Visual Inspection. All lines, cables, and wires should be properly secured and in good working condition before heading to the field. Clutches should be properly checked for excessive gear wear, cracks, or any type of failure. A close visual inspection of each individual clutch before the planting season is recommended. Clearance Issues. With the planter unfolded and someone assisting, all lines, cables, and wires should be checked to ensure that they are not being stretched and are clear of moving components. Proper Operation. System should be powered up to make sure everything is operating correctly. Row control units can be manually switched ON and OFF and checked to ensure that the controller is receiving a GPS/GNSS signal. Cleaning Clutches. Clutches may require occasional cleaning because of dirt or other foreign matter. They can be cleaned either quickly using an air gun or disassembled, if possible, and cleaned. Check manufacturers’ literature or manuals for proper cleaning procedures. Connections. Check all electrical and air line connections periodically during filling or normal maintenance procedures. A quick visual glance when walking around the planter can help identify potential issues. Contamination. Connections coming into any contact with water, liquid fertilizer, or other contaminates should be avoided. ASC technology has become a popular option on new row crop planters and as outlined in this publication can provide substantial seed savings and other benefits. The decision to incorporate ASC should be carefully evaluated to determine if it fits in with your operation. This publication presents the value proposition it can provide along with two decision support tools that can be used to help appraise prior to purchase. While the technology can provide tremendous benefits, it requires a quality precision ag display that not only offers ASC capabilities but also supplies valuable feedback on planter performance and possible issues during operation. It is important to maintenance and service ASC, especially the components mounted on the planter. Long-term projections are that ASC will become a standard piece of precision ag technology outfitted on row crop planters.